The evolution of man has led to a stressful and polluted urban existence, frenzied individualism and as a result an increasingly aged Western society. Yet one needs to question this evolution and decipher societies appetite for life. Working for longer hours and having less free time seems to govern our lives, we have essentially moved away from a culture that embraces recreational time. This recreational time is a vital aspect that has been neglected and we require time to unwind and counterbalance the effects of daily stress, allowing us to be more productive and revitalized. It is with this in mind, that it is not surprising that Sanitas Per Aquas (S.P.A) have increased in existence and popularity. They allow one to awaken the spirit, escaping the pressures of daily activities, rejuvenating the body and the mind. These moments of escapism have become ever more valuable, leading to a significant increase in the number and quality of Spas, including the diversity of treatments they offer. Les Nouvelles Esthetiques has subsequently introduced the inaugural South African Sanitas Per Aquas (S.P.A) Awards in honor of the flourishing Spa market in South Africa. This event will become part of the Les Nouvelles Esthetiques annual calendar. Hosted by Les Nouvelles Esthetiques South Africa in association with Les Nouvelles Paris, the Spa Awards is a programme aimed at encouraging the highest standards within the Health, Beauty and Skin Care industry. With a unique reference to the Health Spas in South Africa, the programme has been designed to encourage innovation and ensure excellence in a growing local and international market. Les Nouvelles Esthetiques Spa Awards 2005 was sponsored by a number of elite spa brands, consultancy, computer software and spa tourism companies. The valued sponsors are: Babor, Thalgo, Spa Living, Soft Brands Hospitality, Algologie, M D Formulations, Phytomer, Carita, Decleor, Sofri Color Energy Cosmetics, Matis, Repechage, Clarins, Germaine De Capuccini and Nimue Skin Technology. 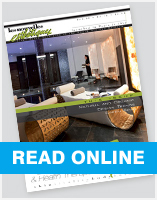 The awards were divided into three categories, namely Day Spas, Destination Spas and Resort/Hotel Spas. The winners were announced at the Les Nouvelles Esthetiques Gala Dinner on the 17th of July 2005 at the Hilton Hotel in Sandton, Johannesburg. The Gala Dinner captured the excitement of all the entrants, as special mention was made of the all the Finalist Spas, being that of the Top 5 Spas in each of the three categories, one winner was announced for each category. The Les Nouvelles Esthetiques Day Spa Finalists were the Clarins Institute � South Africa, s.k.i.n Care Clinic at the Commodore Hotel, s.k.i.n Wellness Spa � V & A Waterfront and Mangwanani Private African Day Spa. The winner of the Day Spa category was Skin Sense Day Spa. Sante Winelands Hotel and Wellness Centre was selected as the winner of the Destination Spa category. The Destination Spa finalists included Mount Grace Country House and Spa, Fordoun, Brookdale Health Hydro and Kievits Kroon Country Estate and Spa. The judging of the Resort/Hotel Spa category was extremely close in which a tie in results occurred. There were therefore six finalists in the Resort/Hotel Spa category, including Camelot Spa at Thanda Private Game Reserve, Camelot Spa at Earth Lodge - Sabi Sabi, Altira Spa at the Western Cape Hotel, The Fancourt Hotel and Country Club � Fancourt Spa and The Twelve Apostles Hotel and Sanctuary Spa. The winner for the Resort/Hotel Spa category was Pezula Resort Hotel and Spa. Les Nouvelles Esthetiques would like to congratulate all finalists and winners as they continue to excel in their respective fields. We look forward to hosting the Spa Awards in 2006, as South Africa continues to show enormous growth in the Spa sector. There is no doubt that the industry will continue to being devoted to enhancing individuals overall well-being and allow for the renewal of body, mind and soul. For additional information, images and/or editorial assistance regarding the Les Nouvelles Esthetiques Spa Awards 2005, contact Dr Nadine de Freitas (Managing Editor � Les Nouvelles Esthetiques SA) or Robyn Deeb at Les Nouvelles Esthetiques on +27 11 447 9959 or alternatively on info@lesnouvelles.co.za. 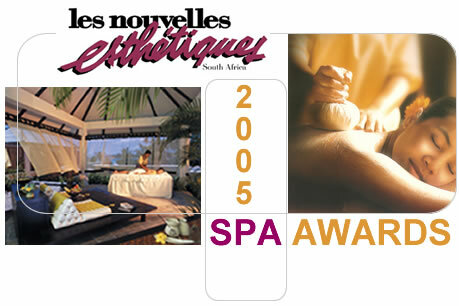 Winners of the Les Nouvelles Esthetiques Spa Awards 2005 will participate as judges for the Spa Awards in 2006.